JUNE 2017: Leading Australian specialist water and wastewater treatment company, CST Wastewater Solutions, is adding a dedicated full-time Service Division to the company, to complement its proven wastewater treatment, fine screening and grit removal technologies. CST’s SFC Vertical Screen Extractor, left, and Smith and Loveless PISTA 360™ grit removal technology, right are just two examples of screening and grit removal technologies that CST services. The new service will particularly benefit municipal and industrial users of waste water and water recycling technologies that do not always have optimal engineering services available in-house, says the Managing Director of CST Wastewater solutions Mr Michael Bambridge. “Often the councils and companies that would benefit most from the engineering and performance advances are the ones that are least able to provide the engineering skills involved from their own resources. We aim to provide services to fill that gap,” said Mr Bambridge, whose company has been providing, designing, supplying, installing and maintaining services for water and wastewater treatment equipment in the municipal and industrial sectors of Australia and New Zealand for over 30 years. 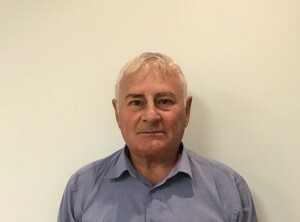 CST has provided service and maintenance on a customer request basis during this time, but increasing demand has led to the establishment of a full-time service division, led by CST’s Projects Manager, Mr Dimce Mihailovski (pictured below). The new Service Division complements CST Wastewater Solutions’ engineer-and-build water and waste water treatment and recycling packages, which are designed to lower the cost and complexity of such projects. The design, supply and install packages – incorporating global and locally manufactured technologies proven in use by some of Australia and New Zealand’s leading companies and councils – are aimed particularly at organisations seeking engineering assistance to develop clear choices and optimum solutions. The packages incorporate advanced low-maintenance technologies, which provide high levels of water purity while reducing maintenance, waste handling and OH&S issues associated with running them. SFC Vertical Screen Extractor: designed for a much finer level of screening – 5mm compared to the older technologies at 60mm – which leads to a significant reduction in solids build-up, more efficient treatment and less maintenance issues. The SFC (screen press for channel installation) technology – designed to lower investment, operational and maintenance costs in screening of municipal and industrial wastewater with compacting of extracted solids – also cuts the amount of maintenance and waste that has to be handled by operators, reducing operational health hazards and improving OH&S performance. Smith and Loveless PISTA® 360™: designed to remove 95 per cent of grit as small as 105 microns. The PISTA 360™ grit removal system eliminates the build-up of grit in downstream aeration basins and sludge digesters. It reduces the damage to downstream equipment from abrasion, enhances wastewater treatment plant reliability, reduces OH&S hazards involved in unclogging systems and helps to prevent environmental spills from blocked and flooded systems. The latest PISTA 360 uses an integral flow chamber baffle for both the inlet and outlet of the main chamber. The baffle is designed to direct the inlet flow into the chamber in a manner that ensures the proper vortex flow and prevents short-circuiting.